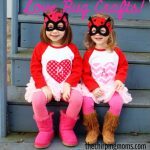 Today we have 5 fun ideas for non candy Valentine’s Day surprises! 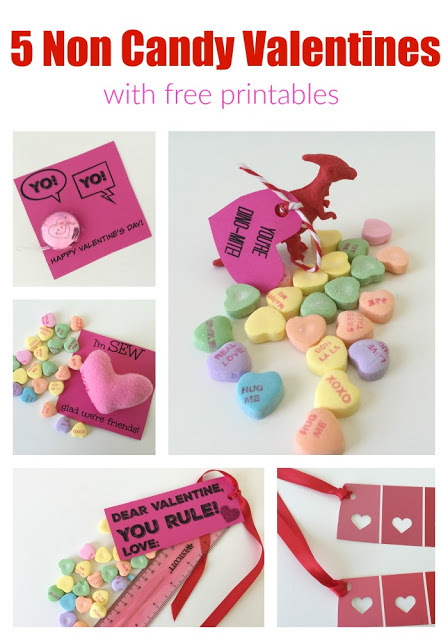 Make sure to head to the bottom of the post for the free printables that go along with each of the 5 Valentines. 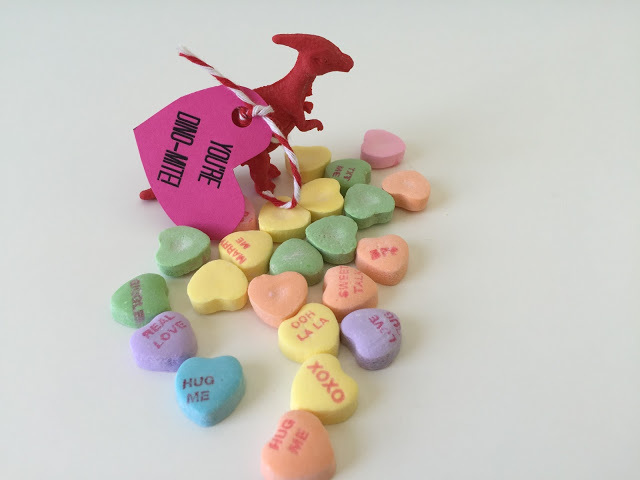 I found dinosaur erasers at Walgreen and just tied on the printable Valentine using a hole punch and red bakers twine. 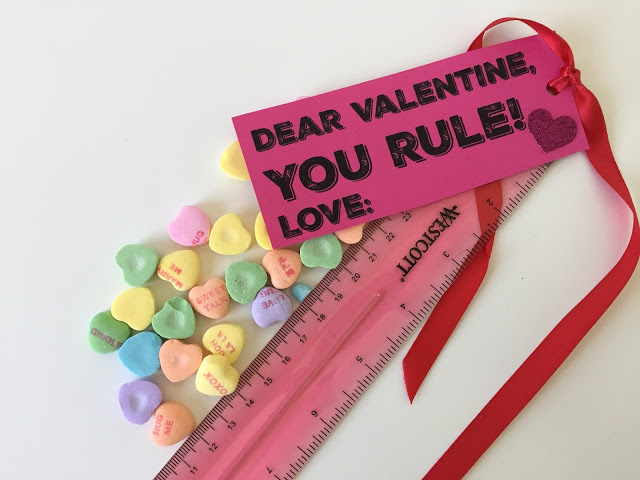 Grab some rulers at the dollar store and just tie the printable card on with some red or pink ribbon! 3. Valentine’s Day Yoyo: “Yo! Yo! Happy Valentine’s Day! 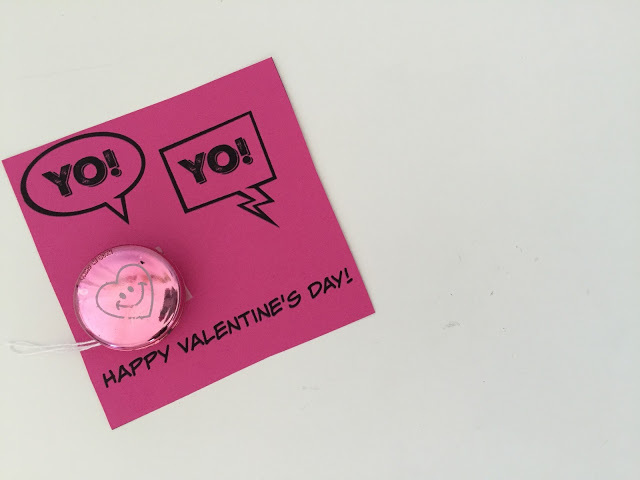 For this Valentine I used mini Valentine’s Day yo-yos that can be found on Amazon or from Oriental Trading. I stuck the yoyo to the card with double sided tape. 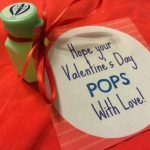 You could also use regular sized yo-yos and tie the card on. 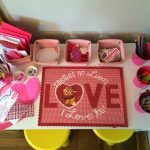 This is a great Valentine for grade school aged children to make. 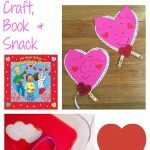 They can do the whole thing themselves and they are useful for the kids they give them too! All you need are some pink and red paint samples. Then use a mini heart punch to punch the holes. 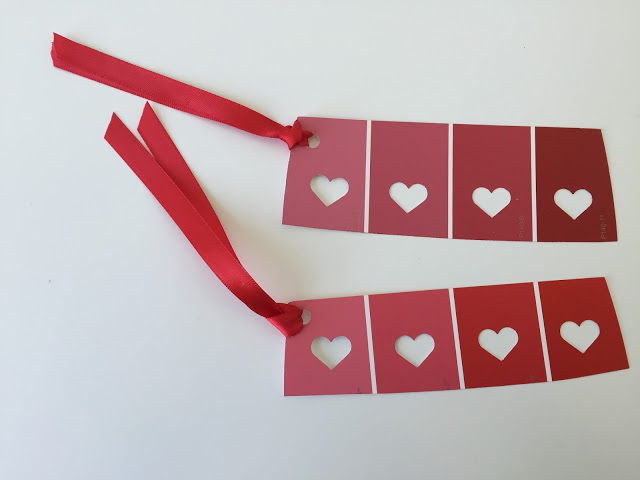 At the top tie some red or pink ribbon and the book mark is ready to be used! 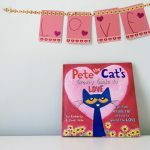 This one is a great project for older kids (with supervision) and it a lot easier than it looks. 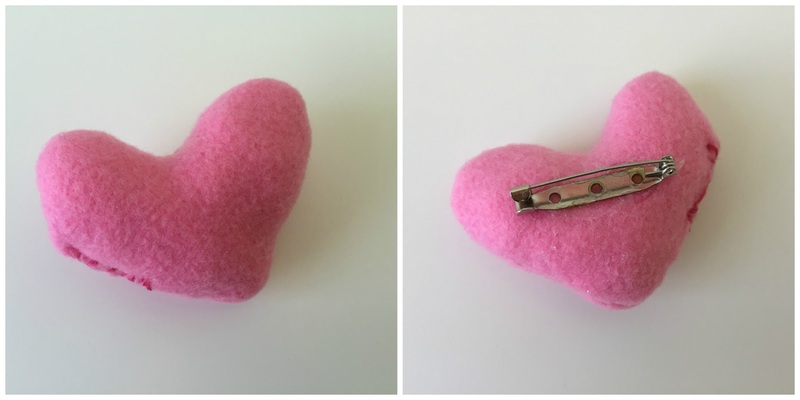 Directions: Cut hearts out of the fleece. Use the needle and thread to sew the heartland leave a smaller opening at the end. 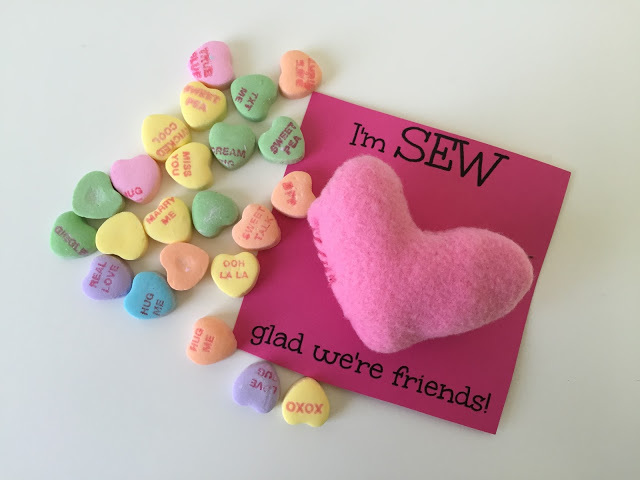 Turn the heart inside out to not see the seam (no totally necessary) and then use a small piece of fleece to stuff the heart. Sew the last opening closed. Glue the pin to the back. Once dry use the pin to attached the heart to the printable Valentine card. Now their Valentines have a cute pin to wear or put on their backpack! I love those bookmarks! That is a great classmate gift!